Juan Francisco was born in Santiago de Chile. He studied Surveying Engineer in Universidad de Santiago and his thesis treated about to validate a metodology for a flight with the Leica RC-30 camera and terrestrial GPS equipment, in the Aerial Photogrammetric Service of the Air Force (SAF). In 2009, in his first stage as engineer, Francisco was part of a multi-disciplinary team in the SAF, dedicated to develop research projects, through the integration of new remote sensing technologies on the whole with GNSS data, in the context of the earthquake of 2010. Later, he worked in the service and techology area, leading field teams for the delivery of automation systems based in the use of Total Stations and GNSS equipment. 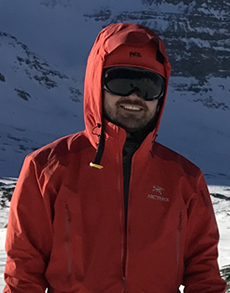 Francisco was integrated in June of 2017 to CECs for collaborate in the geodesy area, specifically in the processing and analysis of data coming from terrestrial and airborne sensors, and GNSS equipment, applied on glaciers and volcanoes of Chile.